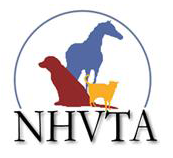 Looking to verify if a veterinary technician is certified (CVT) in the state of NH? Use the link below to access the NHVTA membership search function. Only CVT members have a CVT number. You may search by any of the criteria options, however only one is required.